This book was a waste of time from beginning to end. If you think TV shows solve crimes in a ridiculous amount of time, this story was totally unbelievable! Also, there were too many dumb story lines going at once that were just annoying. 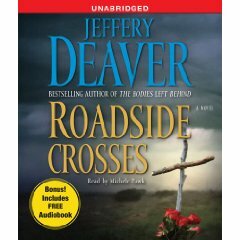 I've liked other books by Jeffrey Deaver, but this one was just stupid. Not much to say about this book. There are a few twists, most of which are actually plausible and not complete craziness. This isn't a blockbuster though so don't expect Angels & Demons type of draw, but a decent book. I used it to break up the rhythm I had going with non-fiction books and it was a nice break, but again, only 3/5 stars.